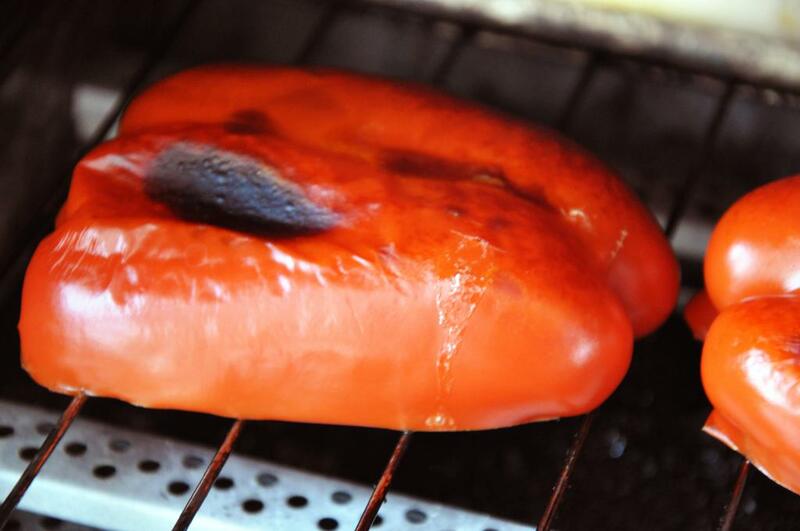 Roast pepper in broiler, on a grill or in a grill pan coated with cooking spray until all sides are charred. 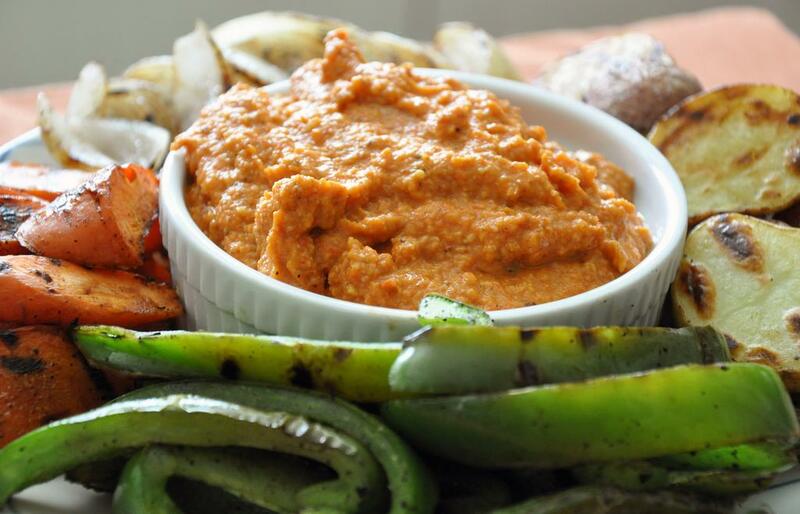 Set pepper aside to let cool. Meanwhile in a medium skillet, heat 1/2 Tbsp EVOO. 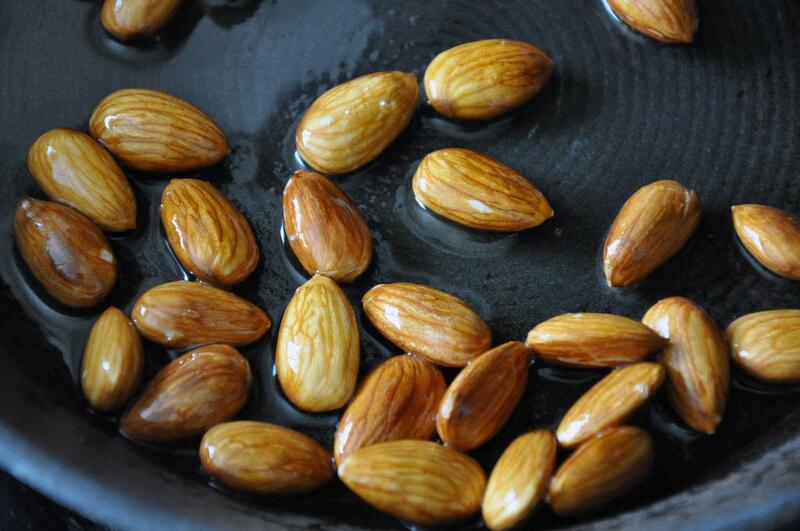 Add almonds and cook over medium heat, stirring constantly, until golden, about 5 minutes. Transfer off heat and let cool. 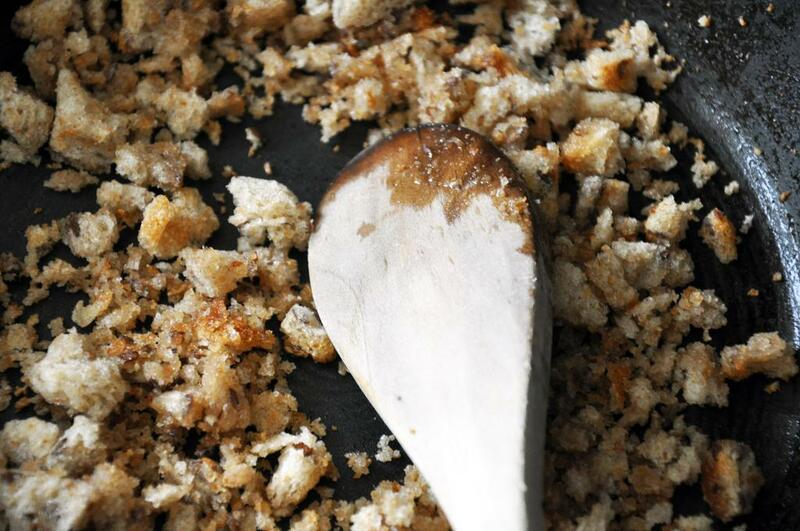 Do the same with the breadcrumbs in the same skillet and transfer to bowl with almonds. Add another 1/2 Tbsp olive oil to the skillet. 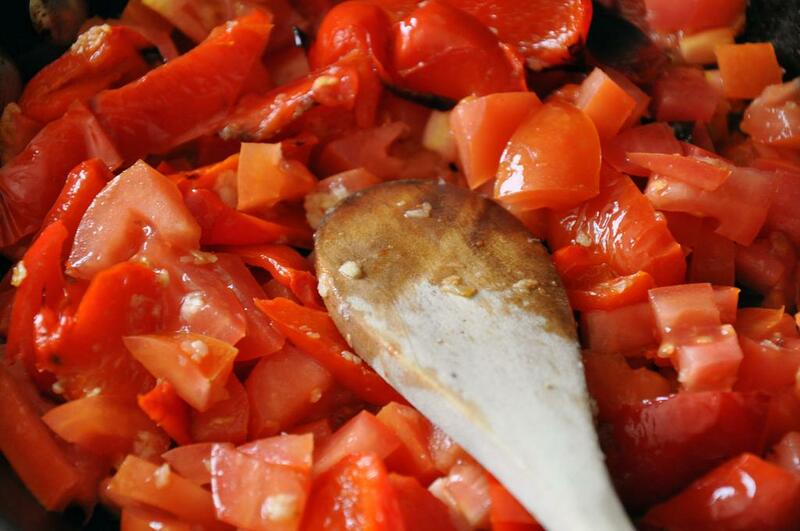 Cut red pepper into thick strips and add to the pan with garlic. Cook about 5 minutes until garlic is softened. Add the tomatoes and cook 1 minute longer. 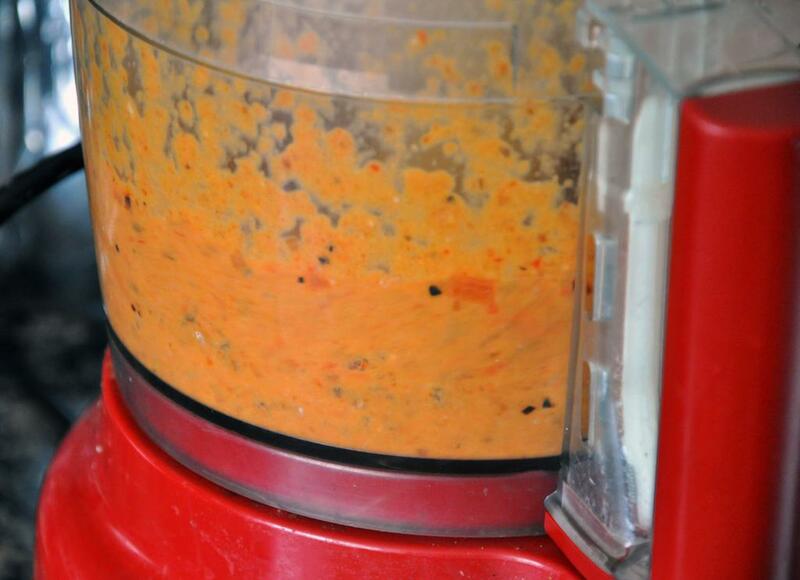 Transfer all the ingredients to a food processor and pulse until emulsified. Add remaining 1 Tbsp EVOO, sherry and SnP, until smooth and well combined. Set aside. Heat grill or grill pan to medium-high heat. 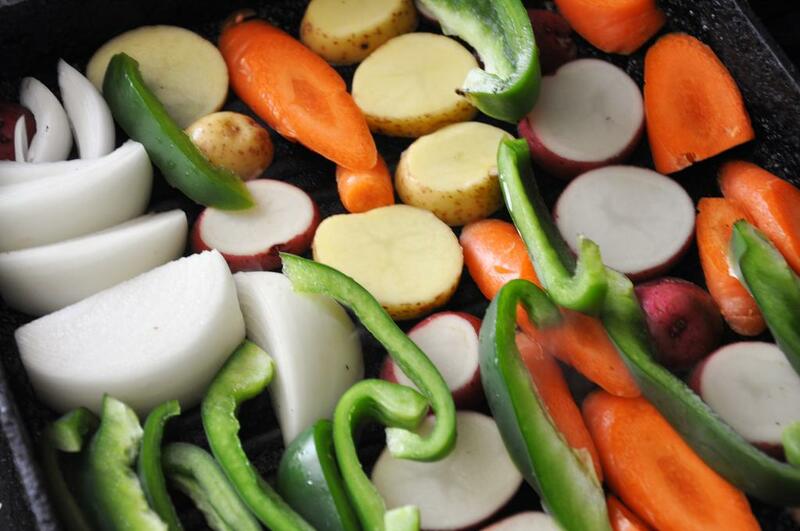 Lightly brush vegetables with cooking spray or olive oil. When the grill surface begins smoking, grill vegetables until charred on both sides, carefully turning with tongs.